Do you remember how much fun you had the last time your parents took you to the zoo? It would be great to see your children have such an experience, or just to have that fun again yourself! The Phoenix Zoo is the ideal place to take your family for a fun day out. It is not only the most interesting attraction in Phoenix, but it was also rated among the top five children’s zoos in the US. Due to its active wildlife conservation programs, the Phoenix Zoo has over 2,500 animals and more than 200 endangered species to observe. You will find all sorts of animals from all over the world at the Phoenix Zoo. On entering the zoo, you can head to Stingray Bay for an aquatic adventure – the 15,000 gallon interactive pool gives you the chance to watch beautiful stingrays “fly” through the water. Next, head to the Savanna area for a giraffe encounter that you’re sure to remember, or go to the Red Barn to get up-close to all sorts of farm animals. On the Africa Trail, you’ll find zebra, lions, tigers, baboons, flamingos and much more. On the Arizona Trail you’ll meet wildlife that comes from much closer to home, such as wolves and pronghorn antelopes. On the Tropics Trail you’ll find elephants, bears, monkeys and more – go to the Monkey Village to see the only walk-through squirrel monkey exhibit in the United States. 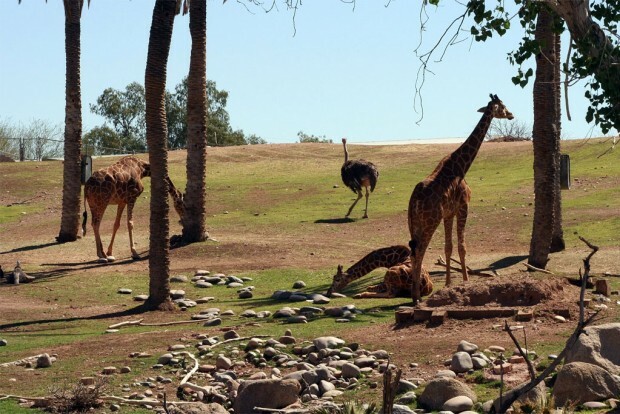 Other than all the fascinating animals to observe, the Phoenix Zoo offers a wide range of other attractions for you to enjoy. There is a 4D theater where you can watch the latest animal-related 4D features – perfect if the weather isn’t great. You can also go to the conservation center to learn all about the work the zoo does for animals. For a little outdoor excitement, try one of the pedal boats or a camel ride. On hot and sunny days, the Leapin’ Lagoon and Yakulla Caverns are perfect to have a splash around in and cool down. If you need a break from all the adventure, head to one of the many cafes and restaurants that are spread around the zoo. During winter, from the end of November to the middle of January, the beautiful ZooLights are on display. ZooLights is a magical experience that involves 3.8 million lights glowing all over the park. There are 700 sparkling displays, two Music in Motion shows and even an ice sculptor carving an animal out of ice every day. ZooLights makes the perfect date destination too – the lights make for a romantic atmosphere and alcohol is available on Fridays and Saturdays. There’s no doubt that the Phoenix Zoo is a perfect place to visit with family, friends, or a partner for a fun day in Arizona. It has everything you will need to enjoy the day since there are both outdoor and indoor attractions and you will have a close-up view of all the amazing wildlife. Located off of Galvin Parkway in Papago Park, between McDowell and Van Buren. Easy to find, and plenty of parking! If you hold a Pogo Pass you can visit the Phoenix Zoo twice for free! A Pogo Pass allows you to visit many other intriguing places for a one time fee. Currently a Pogo Pass is 60% off with the promo code! If you’re planning to visit a couple of venues, such as a baseball game, the IDEA MUSEUM, or ENCHANTED ISLAND check out Pogo Pass! That gets you about 60% off and is the biggest discount you can get for a Pogo Pass.